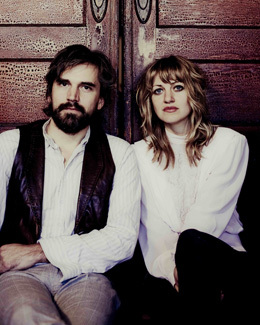 When Anais Mitchell and Jefferson Hamer met in Brooklyn in 2008, they quickly discovered a shared love of old ballads from the British Isles and embarked on a collaboration to perform and record some of their favorites. They arrive at the Freight as their new album, Child Ballads, is just being released. Mike Harding of BBC Radio 2 calls it “one of the best collections of traditional songs I’ve ever heard.” The Child Ballads, in case you haven’t run across them before, are not kids’ songs. They’re a collection of traditional songs tracked down and transcribed by Sir Frances James Child in England and Scotland toward the end of the nineteenth century. (You can think of Sir Frances as the Alan Lomax of his day – or vice-versa.) He compiled 350 of the songs into five volumes. They’ve attracted musicians ever since, including Joan Baez, Fairport Convention, and anyone who’s ever sung “Barbara Allen.” The thing about Anais and Jefferson, though, is that they’re really good. Their spare arrangements and glorious close harmonies bring these classic songs to new life. Anais, who grew up on a farm in Vermont, began writing songs at 17 and recorded her first album at 21, in 2002. She went on to win the prestigious New Folk award at the Kerrville Folk Festival, and has since recorded six more albums, including her remarkable folk-opera project Hadestown, and last year’s stunning Young Man in America. Jefferson lived in Colorado for several years and played with the roots-rock band Great American Taxi before moving to Brooklyn and delving deeper into Irish traditional music. Last year he released The Murphy Beds, a collaboration with Dublin-born folk musician Eamon O’Leary. 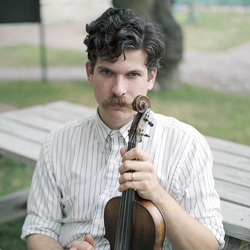 Frank Fairfield is a young man and old time folk musician from the San Joaquin Valley who plays fiddle, guitar, and banjo while singing and hollering. Steeped in the pre-War Americana of Mississippi John Hurt and Dock Boggs, he cut his teeth as a street performer in Los Angeles and plays with edgy intensity from a vast repertoire of traditional songs and roots-inspired originals.